Add a splash of modern style to your home with the Sunrise bedside table from French designers Sciae. 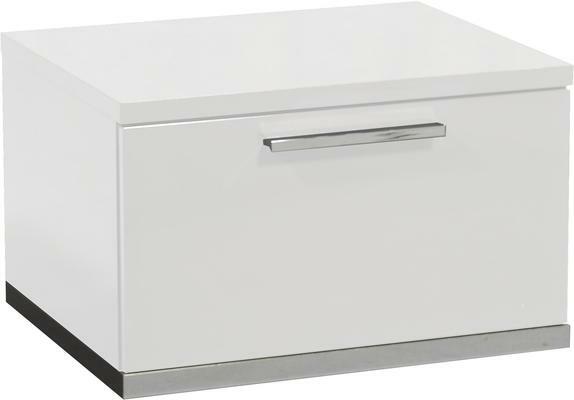 Clean and contemporary and with a desirable smooth and easy to clean white high gloss finish this modern storage option will enhance the appearance of light and space within your interior. 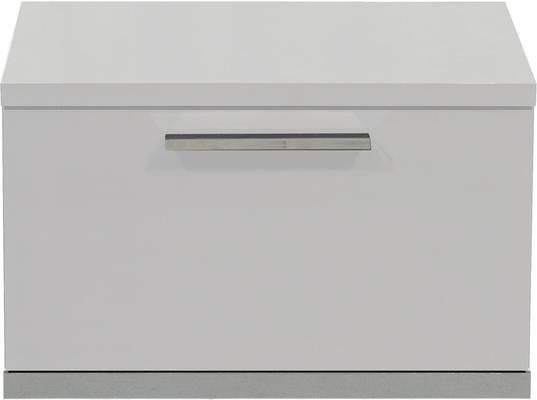 This design inspired chest of drawers not only features chic polished chrome accessories for an added contemporary feel but also offers handy storage space within its ample size drawer making it ideal for keeping treasured items close to hand. Featuring a number of complementary pieces for the bedroom the Sunrise collection is designed and manufactured by well known French designers Sciae who are renowned for combining state of the art production techniques with impeccable style. Both aesthetically pleasing and functional each Sciae piece complies with the strictest environmental regulations. Also available with the headboard extension, including lighting, as shown in the room set photo.